Town boss Sam Ricketts has confirmed the club will appeal Dave Edwards' late red card in the 1-1 draw at Bristol Rovers. 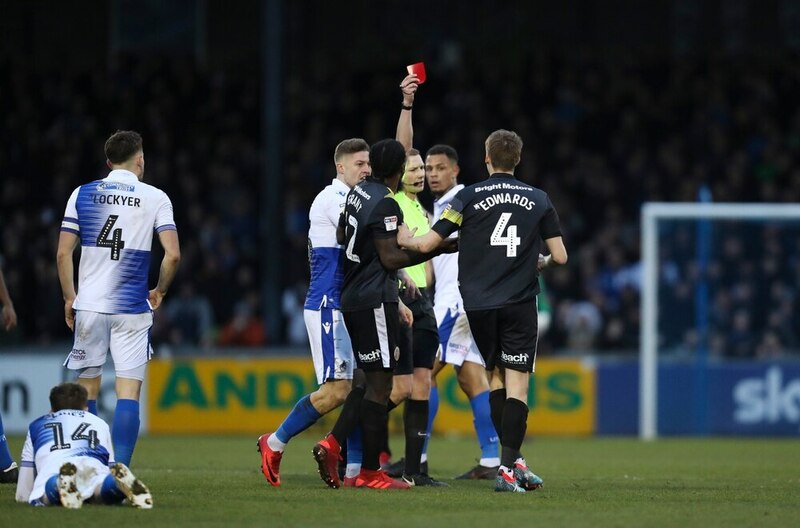 Sub Edwards was shown a straight red card by referee Peter Wright less than 10 minutes after being introduced to the bad-tempered affair at the Memorial Stadium. Ricketts disagrees with the decision to send off the 33-year-old and confirms Salop will contest the decision. The Shrews chief, whose side are 22nd after picking up a point, felt his Shrewsbury side were up against the world on a tough afternoon in front of a vociferous crowd in Bristol. "(Abu) Ogogo kicks Ollie Norburn first-half, blatantly kicks him right in front of the fourth official and referee.